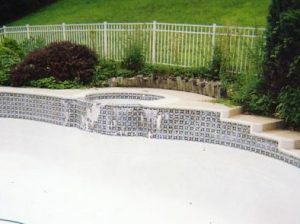 Select from many colors and patterns of tile. 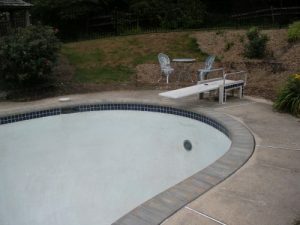 Complete renovation with new deck, tile, coping, caulk and plaster. 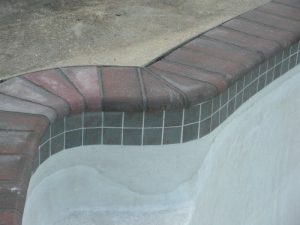 New Tile, Coping and Caulking with a Raised Spa Wall. 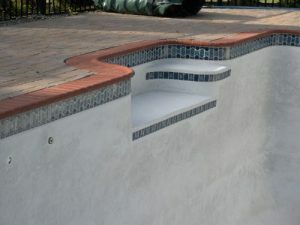 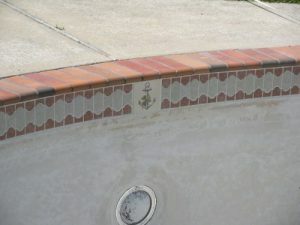 A Pool with New Tile, Coping, Caulking and Plaster. 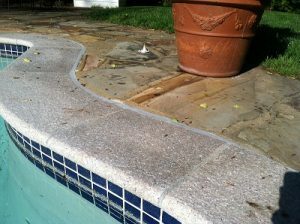 New Tile and Coping with Bullnose patio stone coping. 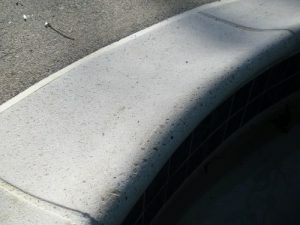 Problems with the light gray ceramic coping solved with removal and replacement. 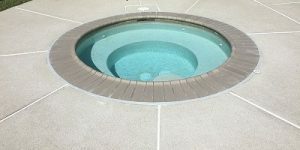 If you need a new concrete or patio deck installed, we will work with your deck company or one we recommend to make sure everything is done properly and in sequence. 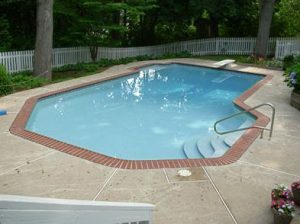 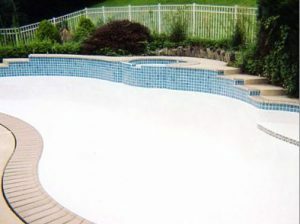 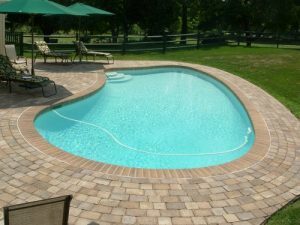 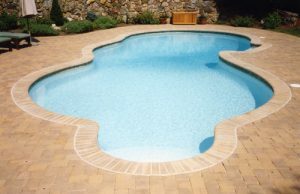 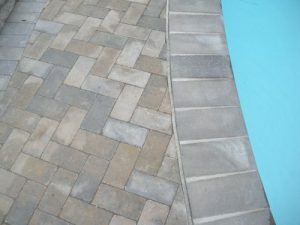 We can coordinate your new patio stone deck installation around your swimming pool if you wish. 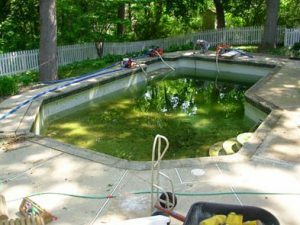 We always make sure we prep your pool properly. 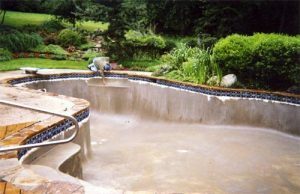 All of our replastering jobs include bond coating. 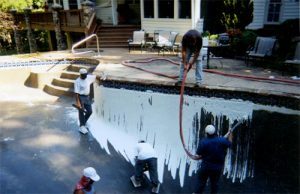 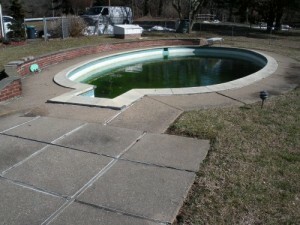 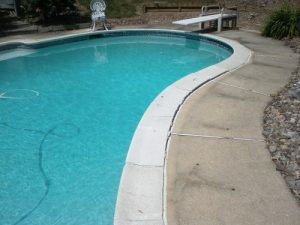 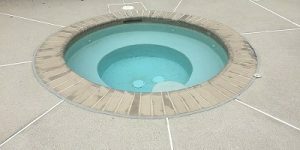 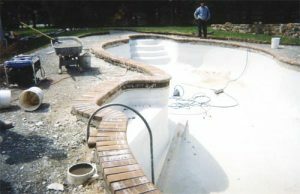 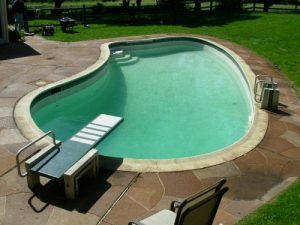 We will let you know what exactly has to be done before and after your pool is replastered.